Flying is nice. When you are an important government member who has to go to Beijing before heading to Moscow a few hours later, while Washington is already waiting for you, so-called aircraft have certain benefits. They take you from A to B to C, and they do so lightning-fast, meaning these things are almost as fast as rifle bullets. Well, that’s the theory. We already got to the paragraph in which all of the above will be proven wrong because things never work when you need them most. It’s Murphy’s law. In 2005, Germany’s Foreign Minister Joschka Fischer needed to get to the wonderful Greek city of Thessaloniki. The Bombardier Challenger Business Jet Fischer was sitting in experienced far more a slight hickup, when smoke spread in the cockpit and all over the cabin. The pilots and their prominent passenger wanted to live, so they picked the only option they had, which was an emergency landing. It was successful. Fire fighters waited at Tegel Airport in Berlin when that jet touched down and came to a halt. Minister Fischer was probably both shaken and stirred. Still he continued his voyage in a tiny Cessna charter plane. 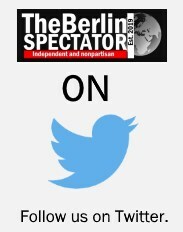 Half a year later, in August of 2005, the Minister of Defense of the Federal Republic of Germany, Peter Struck, intended to visit German troops in Afghanistan. So he flew to the Uzbek town of Termes, where the German Luftwaffe had installed a transport hub. Here, Struck switched planes. He boarded an Airbus which was part of what is known as the ‘government fleet’, but did not get too far. A bird strike during takeoff had damaged several shovel blades in one of the engines. The consequence was what the cockpit crew called an “unnatural vibration”. So the Airbus had to perform a 180-degree turn and land. And Struck? It struck him that he was stuck. In Uzbekistan. Another six months later, Struck’s successor Franz Josef Jung experienced an issue with a Challenger jet. In 2007, Norbert Lammert, the President of the Bundestag at the time, wanted to fly home after a trip to Poland. But several of the instruments in the government’s Challenger jet did not work. Since he could not afford to be stuck in Warsaw, he took a regular airline flight back to Berlin. The series of embarrassing issues with those Challenger jets did not end here. Another government member got into trouble in Aleppo when the brakes of one of those aircraft failed. Shortly after that incident, Germany’s former President Horst Köhler missed two important appointments, when those old Challengers caused problems yet again. Another few months later, President Köhler got stuck in Beijing because a government Airbus A310 named after former Chancellor Konrad Adenauer was broken. Along with his entourage consisting of 50 people he took a regular Air China flight back home. Köhler’s successor Christian Wulff had a similar problem with the same plane in Brazil. Chancellor Angela Merkel was supposedly angry when the new ‘Konrad Adenauer’, an Airbus A340 could not take off from Paris because of a burst tire. Then she was told that this very aircraft could not land on every larger airport in Earth, for technical reasons, after the Luftwaffe had invested tens of millions of Euro into pre-owned planes, which were then converted for government use. In 2015, the next incident caused a problem for Merkel. She needed to go to New Delhi for an official state visit when her Airbus could not be powered up. The Chancellor and several ministers who accompanied her had to fly in a troop carrier, which was far less comfortable. No, that case wasn’t the end of the long series of annoying embarrassments either. Today’s President Frank-Walter Steinmeier, who was Germany’s Foreign Minister in 2015, needed to fly to Rome. An Airbus A319 owned by the government was replaced by a bigger Airbus because of an issue with one of its engines. But the plane he was on could not take off either since its most important cockpit computer system failed. There was more trouble, when a new Airforce A400M troop transporter failed in 2017 and Minister of Defense Ursula von der Leyen could not return home from Lithuania. Last year, Finance Minister Olaf Scholz had a similar problem in Bali. A rat had boarded the ‘Konrad Adenauer’ A340, without any ticket or invitation, and damaged important cables by eating parts of them. Just when everyone thought things were finally fine, Chancellor Merkel and her delegation boarded the ‘Konrad Adenauer’ in order to take part in the G20 Summit in Buenos Aires in November of 2018. Shortly after takeoff, the radio communications system failed. An emergency landing at Cologne/Bonn Airport followed. After this latest stunt, Merkel was forced to spend the night at a hotel in Bonn and catch a regular Iberia flight to Buenos Aires from Madrid the next day. Her First Class seat neighbors were surprised. The German government’s air fleet, operated by the Ministry of Defense, is not small. They have 16 planes and helicopters. But somehow those aircraft often give up when they are needed most. Now, after a million issues, a discussion about purchasing an Airbus A350 has started. It seems this time the ministry wants to take a new approach, in the truest sense of the word. The ‘Welt‘ daily reports, those in charge were thinking about purchasing a brand new aircraft directly from Airbus. They do seem to be sick and tired of pre-owned planes from Lufthansa. But an A350 costs money. Germany will have to put quite a stack of Euro bills on the table, since the price tag is 280 million Euro. And that price does not include the conversion into a government plane. According to the ‘Welt‘ report, a decision will be taken within the next few weeks. Apart from the rather high price, another aspect has to be considered in the decision-making process: Even if they purchased an A350 today, and if Airbus was able to deliver it within five minutes, the conversion would probably take until 2022, meaning there would be plenty of time for more embarrassing fails. 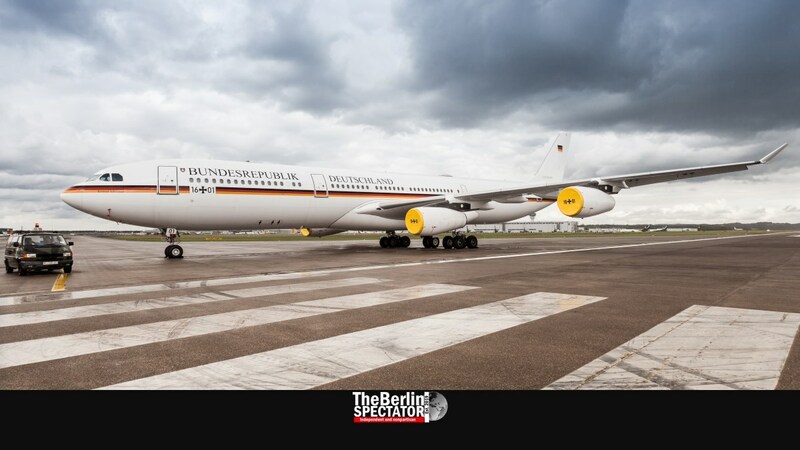 Update January 30th, 2019: President Steinmeier was stuck in Ethiopia today, yet again, because of an air pressure issue with the Airbus A340 ‘Theodor Heuss’.